Canada remains one of the few industrialized countries without a national school food program. Canada’s current patchwork of school food programming reaches only a small percentage of our over 5 million students. 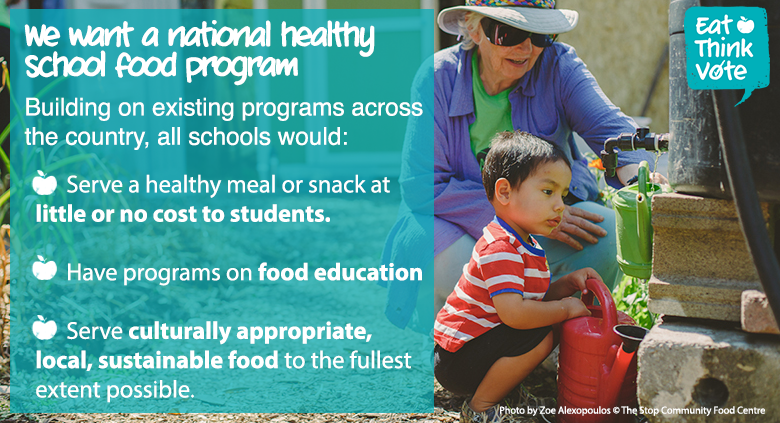 Only policy coming from the federal government can ensure healthy food for all Canadian school kids. Only about one-third of children between the ages of 4 and13 years eat five or more servings of vegetables and fruit daily. About one-quarter of children's calorie intakes are from food products not recommended in Canada's Food Guide. The rates of diabetes and obesity are at all-time highs, particularly amongst Indigenous peoples, whose rates are higher than the rest of the population. One-third of students in elementary schools and two-thirds of students in secondary schools do not eat a nutritious breakfast before school, leaving them at risk for learning, behavioural and health challenges at school. We need to lay the foundation for healthy eating habits that will last a lifetime and ensure that learning is not hindered by a lack of access to good food. School food programs are vital contributors to students’ physical and mental health. The Eat Think Vote campaign believes our schools can become places where healthy living is learned and practiced. We are calling for a Universal Healthy School Food Program that will enable all students in Canada to have access to healthy meals at school every day. Serve a healthy meal or snack at little or no cost to students. Serve culturally appropriate, local, sustainable food to the fullest extent possible. Many leaders and experts have called for a universal school food program, including the United Nations Special Rapporteur on the Right to Food, the Ontario Healthy Kids Panel and Dr. David Butler-Jones, former Chief Public Health Officer for Canada. 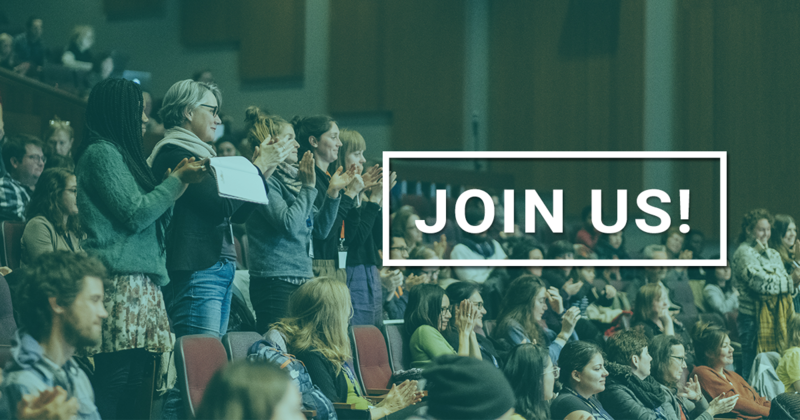 The Coalition for Healthy School Food, facilitated by Food Secure Canada, is seeking a $1 billion investment phased in over 5 years by the federal government in a cost-shared model to create a universal healthy school food program. Get more details on the issue by reading this document. 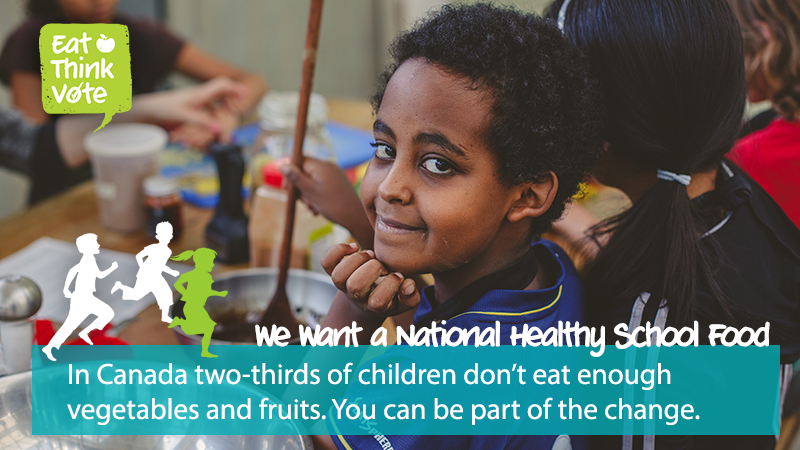 Our kids deserve healthy and nutritious food. We need a national policy that guarantees they get it.